Thanks for the warm welcome to “the Family”! I know Annette Nelson kindly provided you all with a bit of an overview on me and my pending mid-March arrival as North Eastern Community Hospital’s new Chief Executive Officer but now that I am here and have had a few weeks to settle in, I thought I would use my debut blog to share a little more about me. From the moment I first made contact with the organisation during the job application process, I have been overwhelmed – in a positive sense – by the strong family feeling that permeates all aspects at North Eastern Community Hospital, from the specialists, nursing, administrative and support staff and the relatives and friends of our patients and residents. There is also a deep and immediately evident patient- and resident-first philosophy that sets the organisation apart and makes it something very special. I can assure you, I will do my utmost to retain and strengthen these unique characteristics as we enter a new chapter that will see us extend our areas of specialisation and enhance our community culture. In this regard, I have been out and about meeting and have started talking with staff and our visiting medical specialists, as well as planning more meetings with general practitioners, community leaders and the families of our patients and residents to get a better feel for their expectations and any areas where they believe we can further improve. This exercice will continue for another few months, with feedback from these meetings and my upcoming ‘Open Office Meet & Greet’ sessions for staff being invaluable in helping us to ensure that the organisation remains a centre of excellence – in our current areas of specialisation and as we diversify our acute and aged care services. Now, a little about me. I am an Adelaide girl through and through, having been born, raised and educated in the northern suburbs. 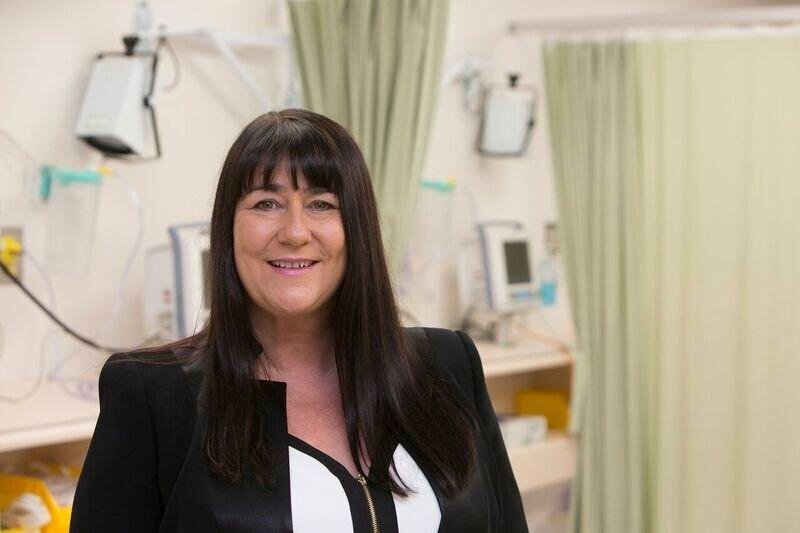 On leaving school in the mid-1980s, my passion for people and their health and wellbeing saw me train as a nurse at the Queen Elizabeth Hospital and, upon graduating, work as a registered nurse – and later a Director of Nursing – in Adelaide, the Adelaide Hills and country SA. After some 15 years, I branched out into health administration and have since held an array of leadership positions in acute and aged care, where I developed strong financial, staff and project management skills. Most recently, I served as Regional Director, Eyre Far North, Country Health SA Local Health Network (CHSALHN) for 10 years, during which time I was responsible for 11 hospitals, 10 aged care facilities, two medical centres and a range of community-based services. We further introduced new services such as elective surgery, renal dialysis, chemotherapy, residential aged care, community care packages and Aboriginal Health programs to a vast area of some 200,000 square kilometres. Our region was also the CHSALHN’s highest performer in the 2016/17 financial year, with the successful $42m redevelopment of the Port Lincoln Hospital a major achievement. I look forward to embracing the North Eastern culture and philosophy while putting my skills and experience to good use as we work collaboratively to live by our mission to be the premier provider of healthcare excellence from birth to aged care.